Figure hugging dress. 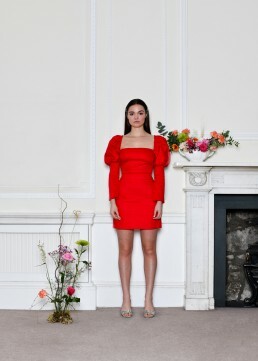 Slight flared sleeve with delicately hand pleated over sized puffs that are elasticated around the shoulders and have adjustable tie strap detailing at the back. Zip fastening at the back center.